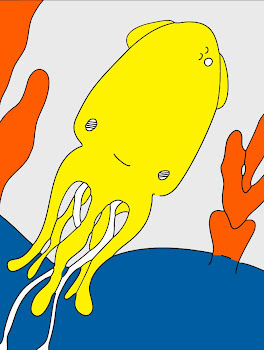 Technicolor Squid: October In Review. Oh hello Lovelies! Oh I hope you are having a fabulous weekend! We are off to a good start here. Finally recuperating, we spent the day relaxing. Tomorrow, off to the city for a visit. I will have to take a bunch of pictures, but before I start thinking about that, here is my October in review. I hope you like it. This month we only had a couple of events so photos are awfully mundane and involve a lot of local shops and restaurants. In one of our local "malls" these hanging baskets caught my eye. Next to El Pollo Loco, my favorite fast food restaurant is Taco Del Mar. I only like one though, no other location makes food that is very good. For a few months I was absolutely addicted to their burritos. Mmm good! I took these pictures to document their yummi-ness. Next time I might actually take a picture of the food. That would make more sense wouldn't it. These lovely plants are three of the seventy five that we planted a couple months ago. He wanted to document his favorites and took these pictures earlier this month. This abandoned truck lives on the other side of the lake at the end of our street. It's door handle has a knitted cover. Yep, a knitted cover. I am sorry the pictures of it did not come out very well. I really wanted to share it with you. Mmmm, Changs. As I mentioned earlier Mongolian food was the only thing that tasted any good to me while I was sick. Of course it is a million times better when you are well. I highly recommend Changs if you are ever in the area! A little over a week ago we put our house on the market. A very nice family looked at it twice yesterday and Halloween proved to be a good time for flyers because we were cleaned out in a single night. We are keeping our fingers crossed. This little birdie was happily lounging in one of the three very large pines in our backyard. Oooh, Last Thursday we saw Regina Spektor in concert and it was absolutely fabulous. I loved her opening act Only Son. His cd has been on repeat all week! Check out Museum if you can. We stopped by the lovely Schmancy which just happened to be next door. You can see a couple of pictures on Flickr. Since this month was not terribly exciting, I thought I would share these pictures of our October 2003 trip to Florence, OR. We visited with the dearest of friends and went for a group dune buggy ride, which was one of the most fun things that I have ever done! Halloween was quiet here this year. Oh lastly here are a few pictures of Charlie. In the first one, I love that you can see his little foot in the background. In the second I love that he is sleeping with his tongue out and in the third it really looks like he is sticking his tongue out at us. He knows that he is not supposed to rip up his blanket and was giving us what-for. Well, I am thinking of you all and missing you! I hope you are all doing very well! Talk to you very soon I hope! Hugs! xox=vv. Just found your site. What a wonderful happy place. Good to hear you're recuperating. Burritos? Mmmm yum! I've been in the mood for fajitas lately. 75 plants? Wow. We want plants but I'm awful with them. This morning Alan saw this dead plant in the kitchen and asked which one it was. The cactus!! I killed a cactus!! Knitted cover on the door handle? Hee hee! Ha ha ha! Charlie's foot in the background made me laugh out loud. i love all of your photos too. great visual bits to go along with your words. Awesome pictures! Sorry your October was so insane but you took some gorgeous shots.